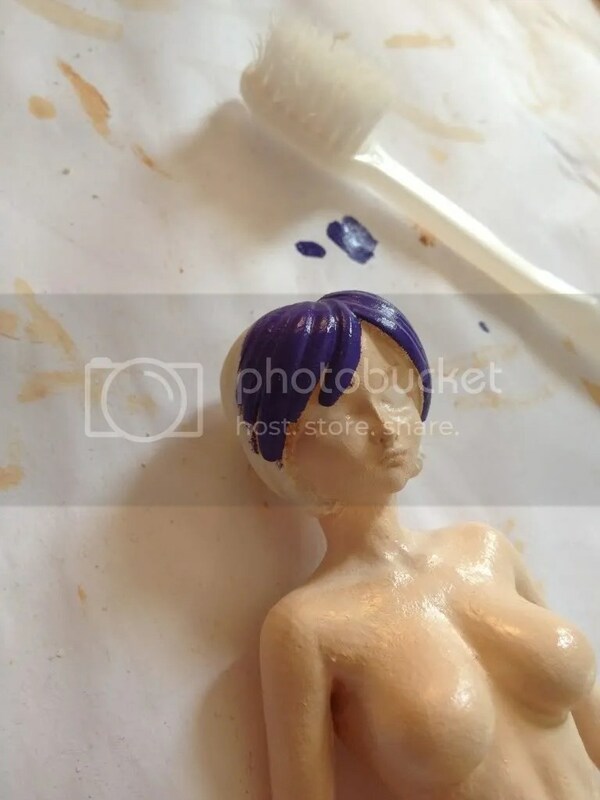 Painting the figurine has been a 3 day proccess, it first involved getting the skin tone right and applying layer after layer of this colour. I opted for the tone ‘flesh’ and added white to it for a paler look. This took a day to do including drying time, I then moved onto the face and hair, another day job. The hair was simple, I attempted to add highlights and dark tones but I don’t think it suited the robotic look of the figurine. The facial details took 3/4 attempts. The eyes are so minute I kept on slipping and making mistakes. With the 2 coats of Matt varnish the figurine is now finished. The varnish smoothed over the rough areas and gave it the finish I wanted.